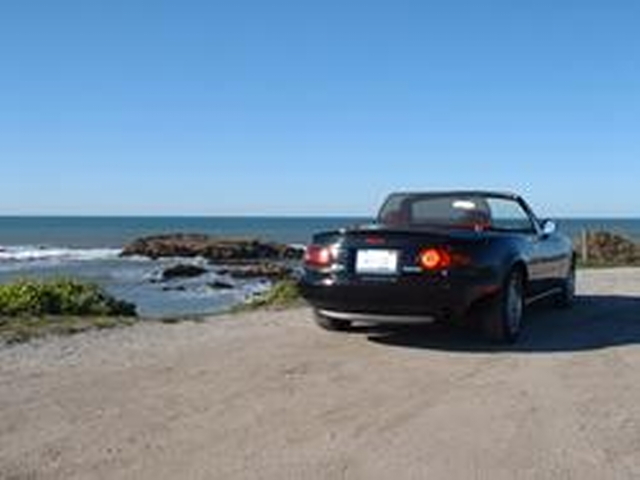 The Miata as you may have already known is a very special car, being rated consistently in the top 10 by Car & Driver. 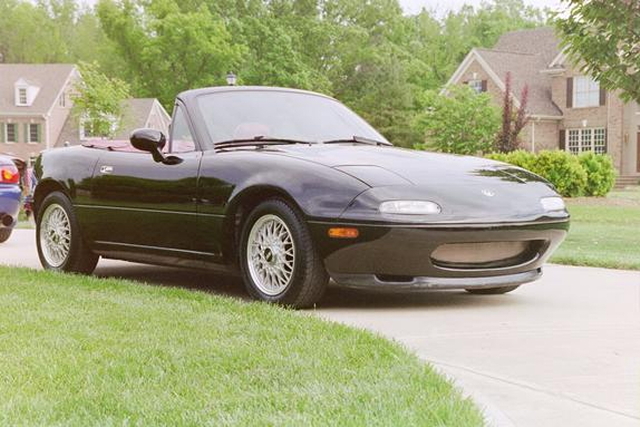 In the spring of 1993, the Mazda created a very special and unique Miata, the 93LE. This "LE" was a limited edition production car, with only 1500 sequence numbered LEs made for sale in the United States. 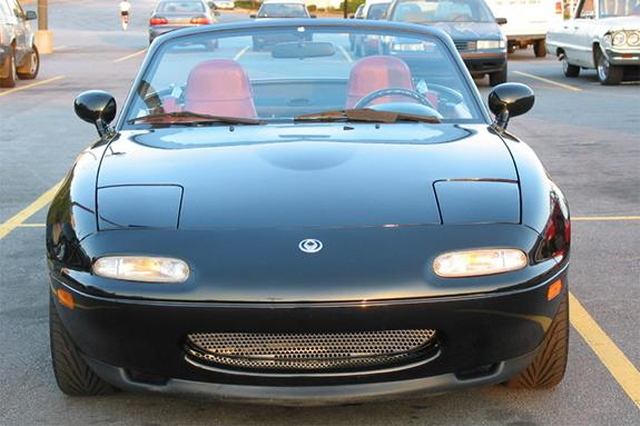 Mazda took a fully loaded B package miata (power mirrors, power-assisted steering, leather-wrapped steering wheel, headrest speakers, cruise control, power windows and a power antenna) and added everything they could think of from a performance and cosmetic standpoint to create the LE. The most stunning feature of the LE was that is was a brilliant black car lined with a deep red interior. The seats were made of red leather, and the carpet and dash were also matched with the same color. The red carpet floor mats also had the embroidered "Miata" script . 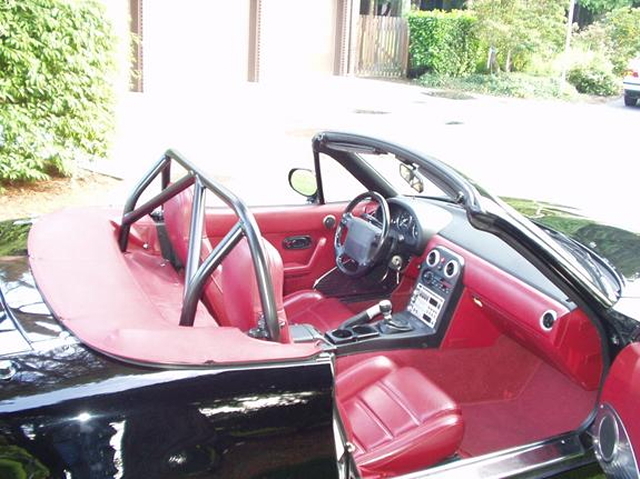 Aluminum trim and panels brought out the "retro look" that is making the trend in today's roadster market. The LE was truly designed ahead of its time. 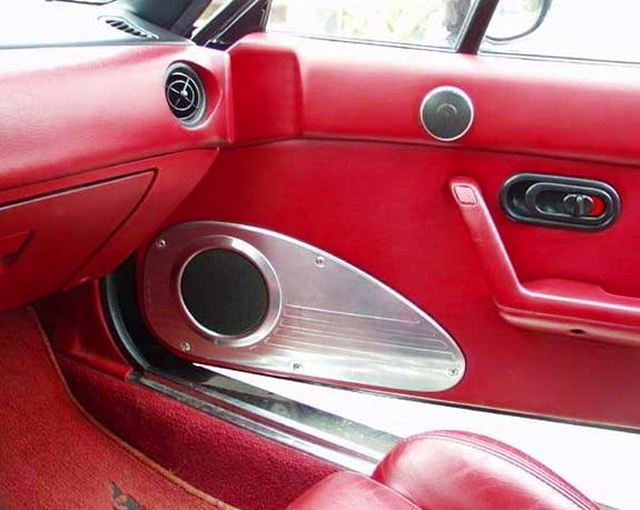 The speaker kick panels had a shape reminiscent of a Harley-Davidson gas tank or or a 1957 Corvette door panel. The tweeter speaker is also mounted with an aluminum surround. The door sills were also aluminum with the "Miata" script as well. Externally the LE was dressed with a front air dam, a rear lower skirt and a rear lip-type spoiler. This rounded out the subtle, yet aggressive sport stance of this car. The stereo had a matching aluminum decor as well. This centerpiece faceplate matched the LE theme perfectly and was intended to pay homage to the quite-chromed Cobra cars of the 1960's. A stereo cover was also included as a theft deterrent or as a dust-protectant. 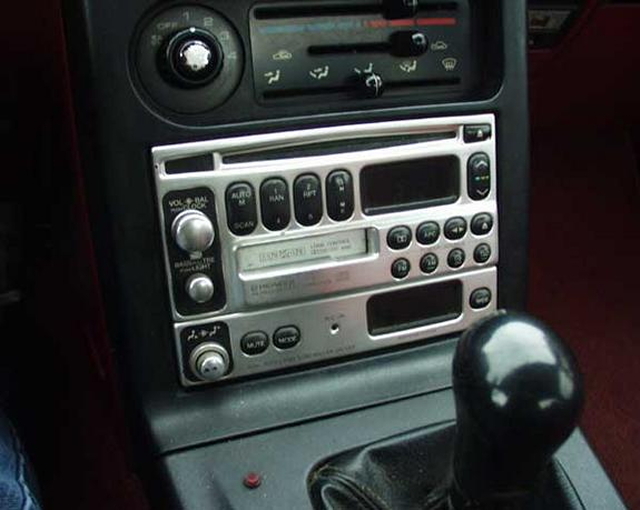 This Mazda Sensory Sound System was standard on the LE had a Pioneer AM/FM/Cassette/CD combination with a lower "Bodysonic System" that controlled the sound equalization as well as the seatback-mounted bass transducers. These "thumpers" are not subwoofers since they do not make sound, however the bass that you feel makes a big difference when driving in a convertible. There were also two perforations in the headrest of both the driver and passenger seats to house a total of four small surround speakers. 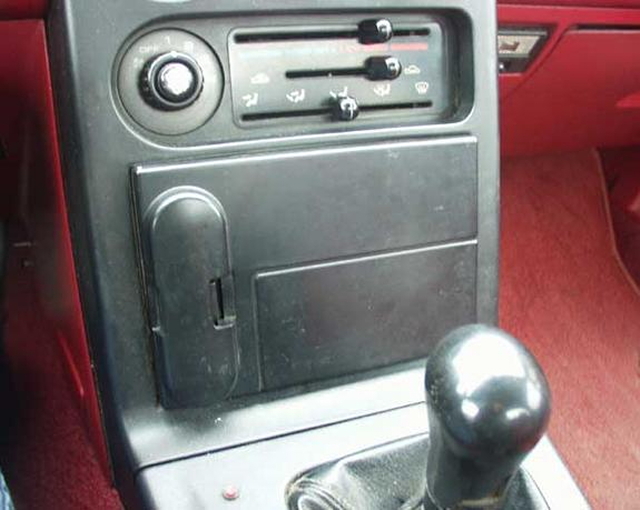 The shift knob was wrapped in leather by Nardi. AUX Input Modification: Many owners have modified their LE for an auxiliary input so that you can run an iPod, iPhone or MP3 player. This modification is an excellent way to keep the LE look without changing out the headunit. ....details to come. Although the engine still was a 1.6L four cylinder, the suspension received many upgrades as well. The springs were stiffer and coupled with factory-specified Bilstein shock absorbers. This gave the LE a very "go-cart" feel, though many tend to change these out for a more civilized daily driver. 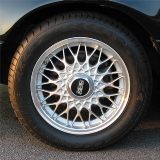 Another highlight of the LE was the ultralight forged aluminum BBS wheels. 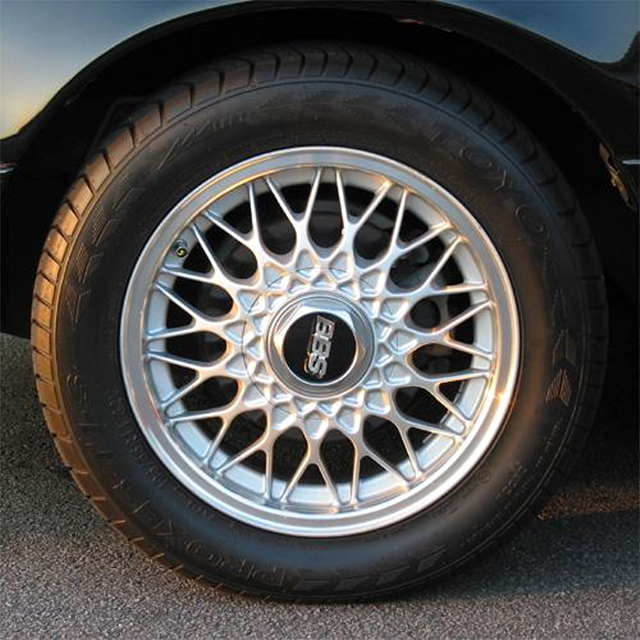 These 14" wheels weigh only 8.5# each, allowing the driver to benefit from decreased unsprung weight. On unpredictable surfaces, the viscous-type limited-slip differential keeps torque on the wheel with friction. The antilocking brake system (ABS) kept the tires gripped on the road during hard braking. The soft top was the standard black vinyl, however when the top was down, the red leather boot cover made the rear deck of the LE complete. 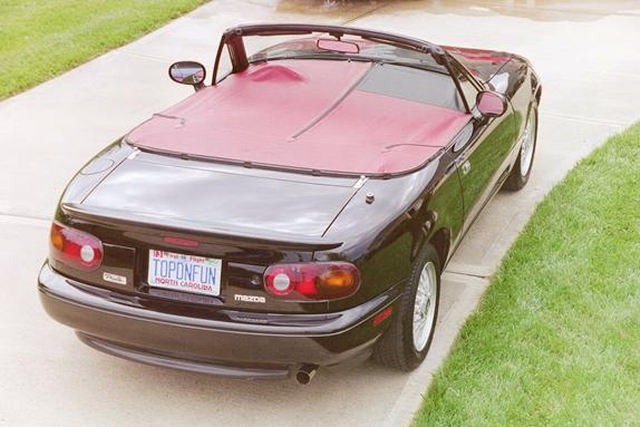 When the weather was colder, one could install the red vinyl tonneau cover. The key fob included with the package was engraved with the LE sequence number. 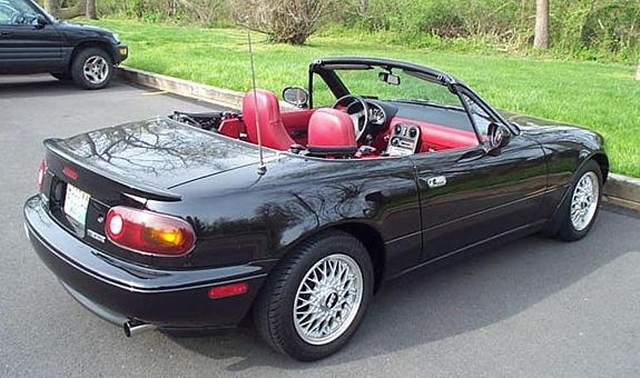 In summary, this 93LE still remains one of the rarest and best Miatas every built.